← “If you needed me…..I would come to you….” ….compassion, kindness and care…. “His big moment came in July 2000, when he addressed delegates at the 13th International Aids Conference in Durban. A tiny figure in a shiny dark suit and sneakers, 11-year-old Nkosi Johnson held an audience of 10 000 delegates in occasionally tearful silence as he told his story. We can walk, we can talk, we have needs just like everyone else. 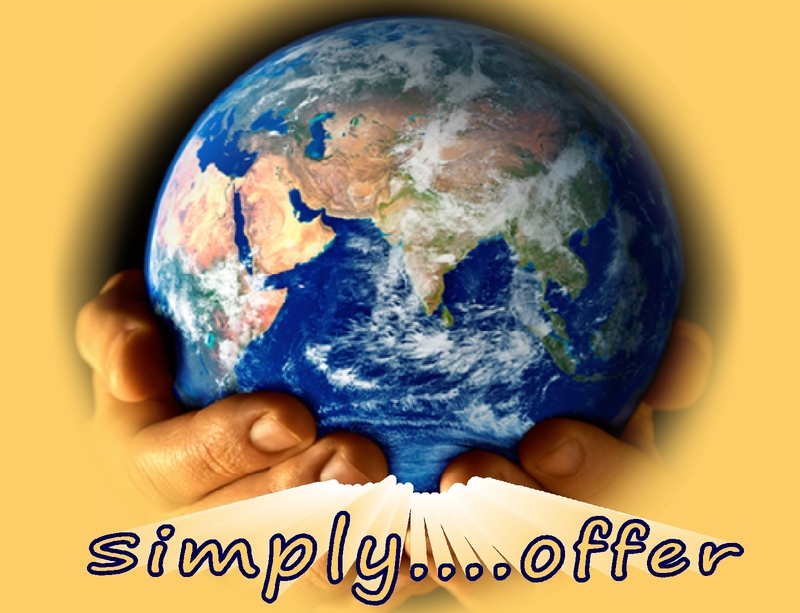 Doing…whatever we can…in whatever manner we can…simply offer….. This entry was posted in Courage, Encouragement and tagged Common Humanity, Compassion, Courage, Encouragement, Inspiration, Intention, Life, Loving kindness, Mindfulness, Motivation, Persistence, Six Perfections, Spirituality, Strength. Bookmark the permalink. 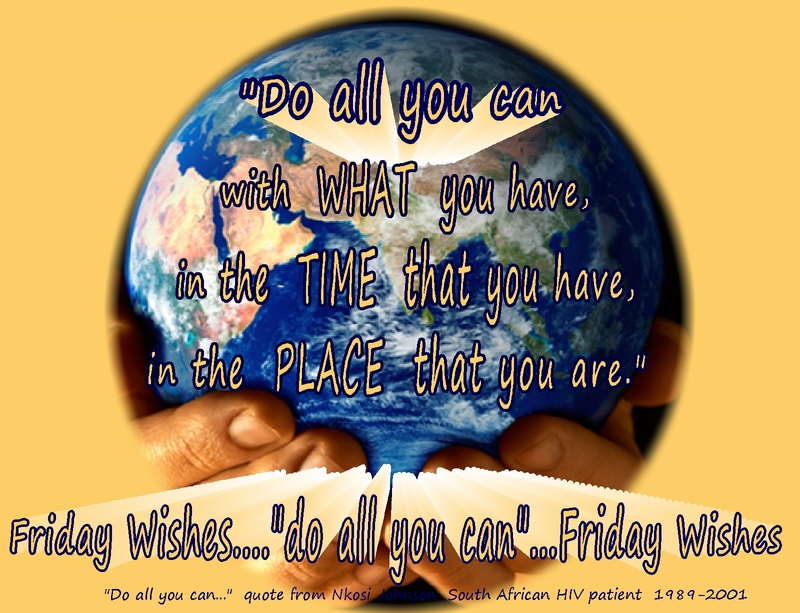 2 Responses to “Friday Wishes….” …doing whatever we can…. Beautiful inspiration. I understand the context within which the quote was originally stated, but it seems to take on a new meaning to me today. 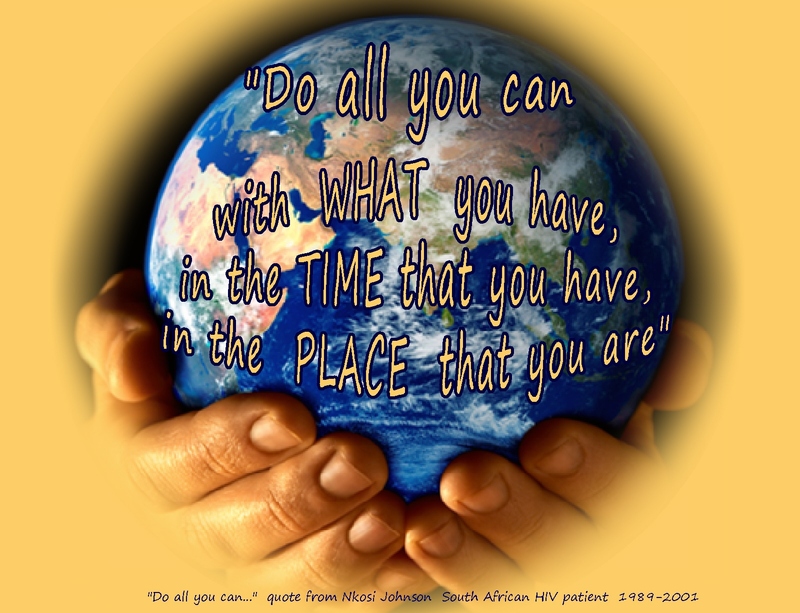 I’m challenged in an often unbalanced and contentious world to remember that we can offer to do the best we can–bringing the best of what we have– and making a difference within our very small spheres. I love this! Hi Debra. I’m using these ideas to continually re-commit to living my own life, as much and as often as I can, aligned with my deeper values and to contributing as much as I can to those around me….recognizing that making a positive difference in even small ways is so important. You expressed your own ideas in an inspiring way!